Learn more about Ready4 GMAT or read Ready4 GMAT articles on BTG. For many business school students, the stress begins way before the school year starts—thanks to the notoriously daunting application process. These months are packed to the brim with research on programs, prepping for the GMAT, writing and rewriting essays, practicing for interviews, and lots and lots of waiting. So, how do you keep your cool when the anxiety rises to a boil? Rather than believing rumors you hear about impossible application expectations, research the facts and go from there. Referencing program websites for class profile statistics and talking to program representatives or even your college career center staff can help you determine what to expect and how to plan for it. At this point, you know what you have to offer, and lamenting the fact that you don’t have the same 20 years of experience as the next guy will not help you. Starting the application process early can help combat weaknesses. If your GMAT score was low, retake it. If your GPA was subpar, develop experience that reflects your true abilities. Portray your qualifications—whatever they are—in the best possible light, and accept that you can’t change what’s out of your control. Nervousness, fear, exhaustion, irritation, and distractibility—though normal—will all compromise your ability to complete applications and balance them with other obligations. Physical exercise can help you blow off steam, yoga can help you relax, and spending time outdoors can improve your mood. Find an outlet that works for you and stick with it. This is related to the previous point, but it’s more fundamental. Your mind can’t perform unless your body can, so make sure you are getting at least 7 hours of sleep a night, eating 3 healthy meals a day, and taking breaks when you feel overwhelmed. Try cutting out alcohol, too—nights of drinking can spoil valuable days of productivity. When you have completed and reviewed your materials and are prepared to submit your application, just submit it! Rereading things so many times that text starts blurring together can lead you to make erroneous revisions and edit things without end, preventing you from moving on to other applications. Don’t obsess over that one sentence in your personal statement—this is, after all, just an application, and the details that are driving you crazy now are marginal in the bigger picture. And, though it’s certainly best to submit a polished application, there are humans at the other end of the process who are usually willing to switch out materials if you discover you made a significant mistake. After submitting, avoid learning about other applicants’ outcomes, and check discussion boards such as Clear Admit sparingly. No amount of checking how others did is going to change—or produce—a decision in your inbox (which, by the way, you should also limit checking). After operating in high gear for so many months, waiting to hear back from schools can make you restless and give your anxiety room to flourish. Rein it in by focusing on other things that will advance your business career. Polish your LinkedIn profile and find volunteering or other opportunities related to your career goals. Also consider refreshing your business clothing wardrobe; this will prepare you not only for b-school events and future interview opportunities, but also for potential b-school interviews! It may sound cliché, but it’s crucial that you keep doing things that make you happy and not lose yourself in this process. Spend time with loved ones. Get out of the house on weekends. Paint, hike, play sports—whatever your hobby is, don’t cut it out of your life. Engaging with the world outside of b-school apps can ground you and keep things in perspective. As you start hearing back from schools, don’t lose heart if things don’t go the way you had hoped. Maintain a realistic view of your possibilities, give fair consideration to schools that may not have been your first choice, and, if it turns out that attending b-school is not an option (or the best one) this year, don’t worry! You’ve just gained another year to build your resume and a stronger application for next year. Allow yourself to cry and have some ice cream, and then research a strategic Plan B rather than lose momentum. The business school application process is demanding, but it’s important to remember that you’re not alone. Other applicants are going through it, too, and you have the support of family, friends, and Ready4 along the way. When all is said and done, it will have been a worthwhile rite of passage. So, take a deep breath and give it all you’ve got! If you liked this article, let Ready4 GMAT know by clicking Like. I was just looking around and went across this thread. I was diagnosed to have severe depression 3 years ago and tried almost everything out there that "could" help. The only medication that worked best for me is medical cannabis. I perfectly understand that it's not legal everywhere. At first, I was doubtful so I started doing my own research and read articles about marijuana. I found out that each marijuana strain has different uses for different diseases. Like this strain https://www.gyo.green/gyo-seedbank-sour-diesel-bst-sod-f.html This one is very effective when it comes to stress and anxiety. 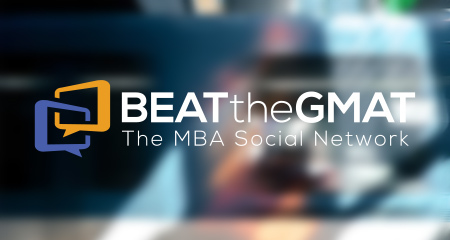 The author Ready4 GMAT gets email notifications for all questions or replies to this post.